Looking to treat Mom to a nice meal in SLC this Mother's Day? You're in luck. Fleming's (flemingssteakhouse.com) offers a three-course brunch with entrées like New Zealand salmon cobb salad and California-style steak and eggs. 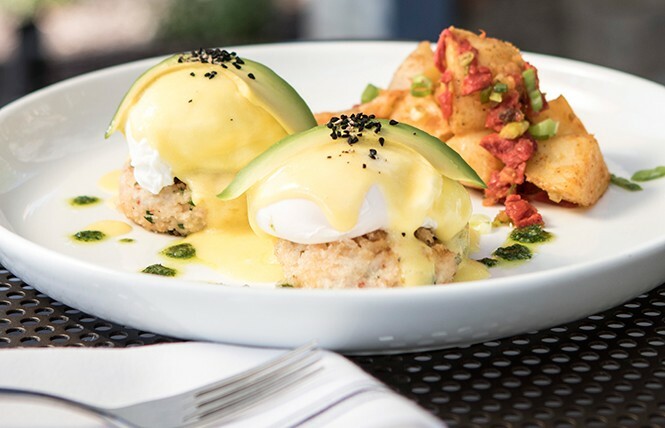 Brunch at Caffé Niche (caffeniche.com) features salmon cakes with avocado, mini quiches and more, including mimosas and bloody marys. If poached lobster salad sounds good, check out the brunch menu at Current (currentfishandoyster.com). Stanza (stanzaslc.com), on the other hand, boasts a four-course menu with bigeye tuna carpaccio and grilled rack of lamb. You can celebrate with brunch or dinner at Tuscany (tuscanyslc.com), or do it Brazilian-style at Tucanos (tucanos.com) with prime rib and grilled shrimp. At Oasis Café, (oasiscafeslc.com) the brunch buffet includes a prime rib carving station, fresh seafood, pastries and a slew of other tempting items. Last but not least, Rodizio Grill (rodiziogrill.com) adds grilled salmon and a special dessert to their Mother's Day buffet, plus a coupon for Mom to use on her next visit. Congrats to Ogden's Own Distillery (ogdensown.com) for earning prestigious medals in the 2017 Berlin International Spirits Competition. Their Underground Herbal Spirit was given one of only three gold medals awarded to liqueurs this year—and in the home country of Jägermeister. Five Wives Vodka won a silver medal, and Ogden's Own was recognized as the USA Liqueur Distillery of the Year. The 2017 event included some 400 spirits from more than 20 countries. I recently wrote on the impending opening of Alamexo Cantina (alamexo.com) in the 9th & 9th neighborhood, which was slated for early May. The Cantina will feature family-style regional Mexican food and drink in a comfy, informal setting. Due to construction complications, however, the restaurant is now shooting for a July opening. Stay tuned for more details, and in the meantime, visit Alamexo Mexican Kitchen in downtown SLC. Quote of the week: "Success to me is like having 10 honeydew melons and eating only the top half of each one."